E-cigarettes has quickly become a world-wide trend with users all across the globe. People who typically smoked tobacco based products or even those who haven’t smoked at all before are making the transition to e-cigarettes. While you can still get a nicotine hit from vaping, it differs from smoking. The act of smoking is burning tobacco and inhaling the smoke into your lungs where you absorb the nicotine in your lungs. Vaping uses a battery powered device to heat a liquid into a vapour that is inhaled by the user. Nicotine is also absorbed through your mucous membranes rather than your lungs. The liquids are referred to as e-juice or e-liquids and can come in many different falvours as well as having nicotine added to them or not. Vape culture has its own subset of users who identify themselves differently according to how and why they use their devices. With so much going on it can be hard to wrap your head around who is doing what and why. To help you understand the different aspects of vape culture below we are going to help you understand the culture. If you follow any form of vape culture on social media you will definitely be familiar with cloud chasers. Cloud chasing refers to the collective of people who vape for the tricks and to show off the skills that they have acquired with their devices. It’s also sometimes referred to as intense vaping due to the big clouds and massive drags that the people take in order to create them. Cloud chasing is definitely a subculture within a subculture as you have a wide array of people of people using cigarettes but only a select few doing it for the sport. This avenue has a cult like following to the point where many people participate in tournaments and competitions around creating the biggest clouds. Generally users who are cloud chasers will have a tonne of mods on their devices as well as use an e-juice that has little to no flavour and no nicotine. 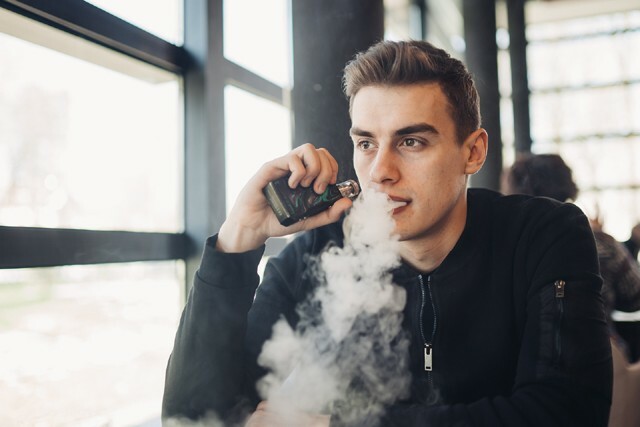 While there is a collective around the craze of making big clouds, there is also a group of people who use e-cigarettes for the flavour hit that they provide. As we mentioned before the e-juices that go into these devices come in hundreds of flavours which is why there is a following of people to try them all. Some vapers prefer to use the non-nicotine variants when they are after the flavour hit as it is more intensive as the nicotine dilutes it. Additionally some countries (like Australia) prohibit the recreational use of nicotine based liquids which is why so many people tend to be either flavour chasers and cloud chasers in many countries outside of the United States. Many people switch from traditional smoking methods to vaping as it is an alternative method to get the nicotine hit that they have been craving. Right now there is not enough research or data to suggest that one method is healthy than the other but many people believe that vaping is “better” because there is no added chemicals to the liquid. While you can use an e-cigarette without nicotine, you won’t experience that same sensation in the back of your throat if you were to try the alternative. People who have smoked tobacco products in the past and are making the transition to e-cigarettes tend to go with this type of e-juice as it is the hit that they are after and not necessarily the flavour from the vapour.